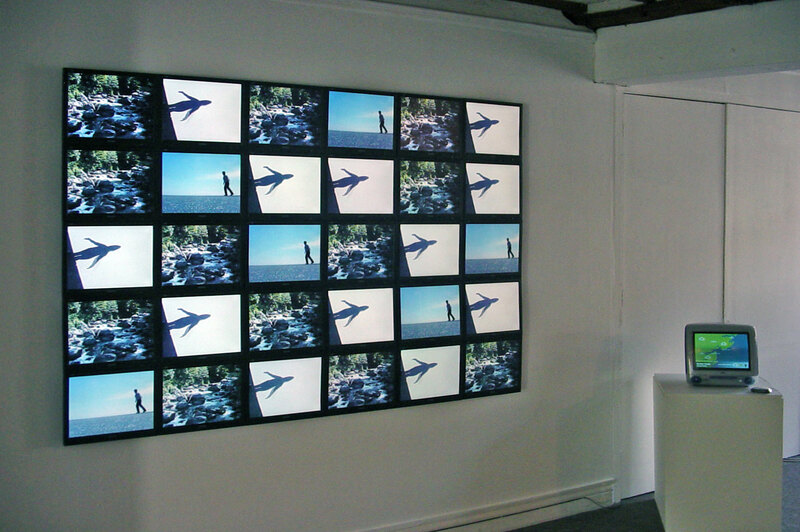 A multi-screen permanent video installation created for Coast Commissions. Students collect video clips of weather conditions from around the world. 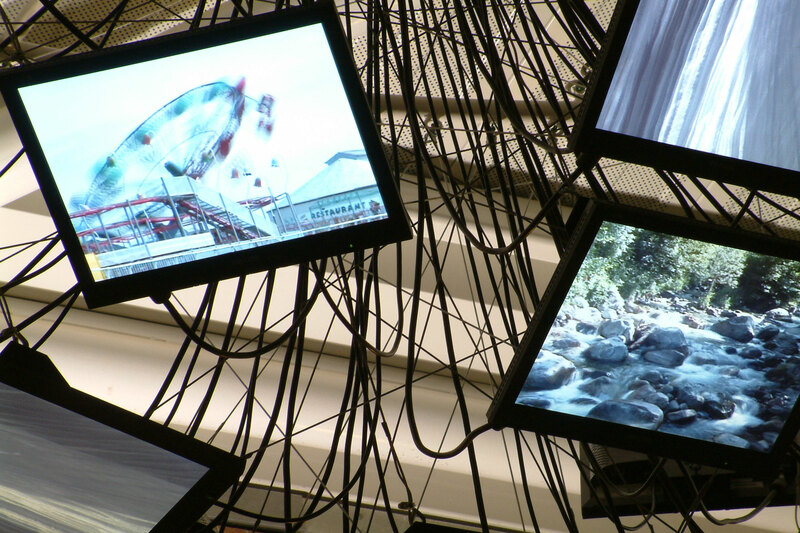 Once collected, these clips form a database, which is held on a permanently networked server. The software monitors a local weather station through the Internet. 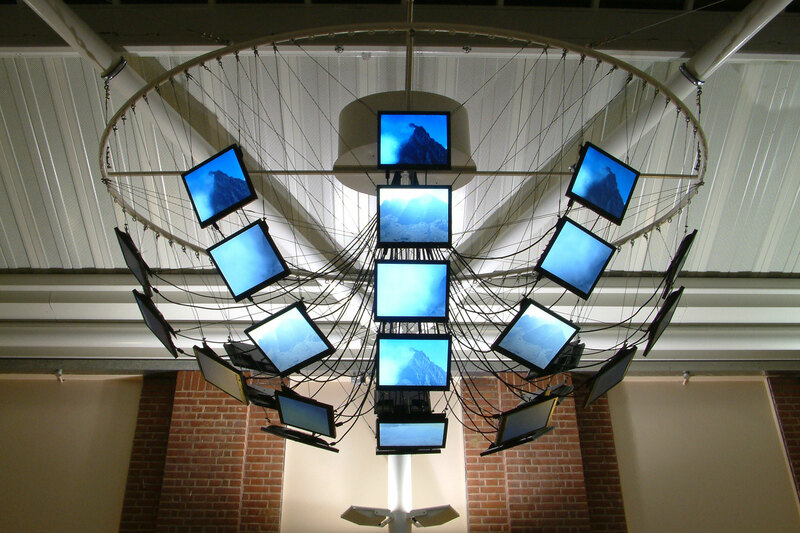 As the climate conditions change, the computer plays the relevant video clips on thirty flat screen monitors suspended off the ceiling. 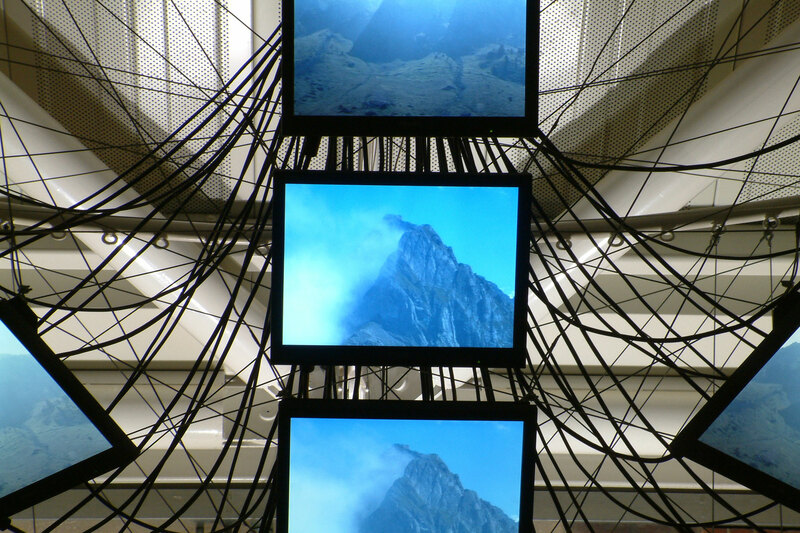 The screens show three different versions of the weather conditions; for example, when it is raining the screens show rain from around the world. 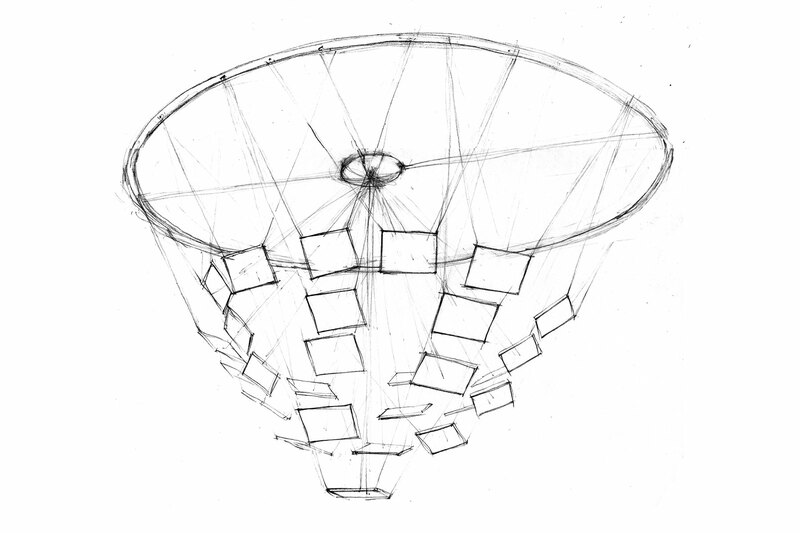 Most of the screens hang facing downwards forming a cluster (cloud) in the atrium. The software is designed to allow video clips to be easily added year after year, creating a constantly growing weather library.